Find directions using the Trimet Regional Trip Planner or Google Maps. 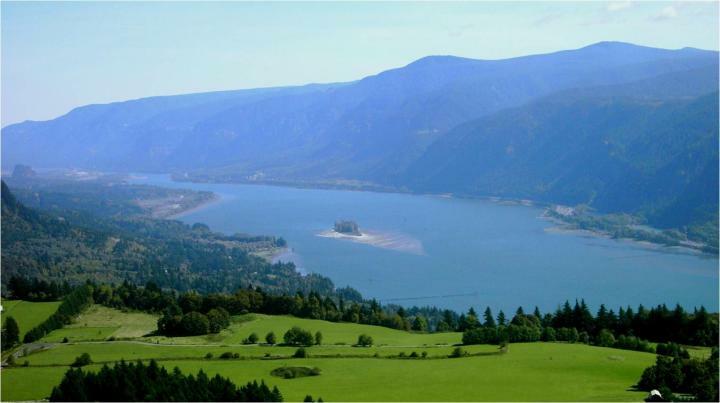 Starting across the Columbia River from the Bridal Veil area, the lofty cliffs of Cape Horn are seen guarding the Washington side of the Columbia River Gorge. 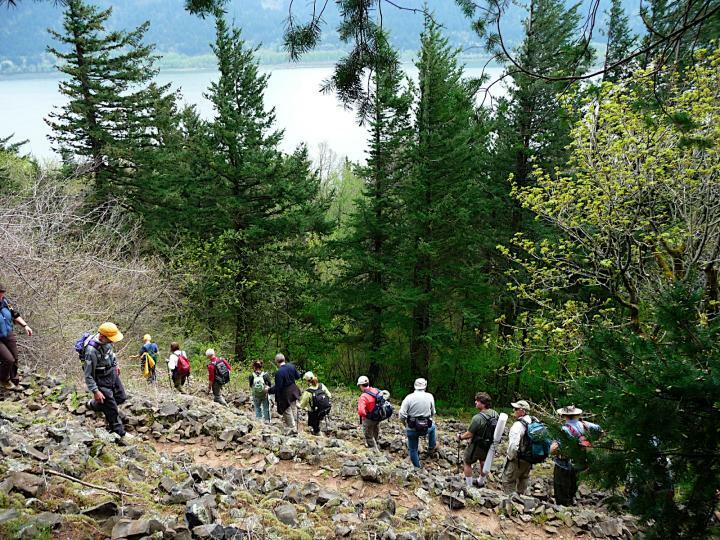 The full trail loop is 7 miles with 1,200 feet of elevation gain. 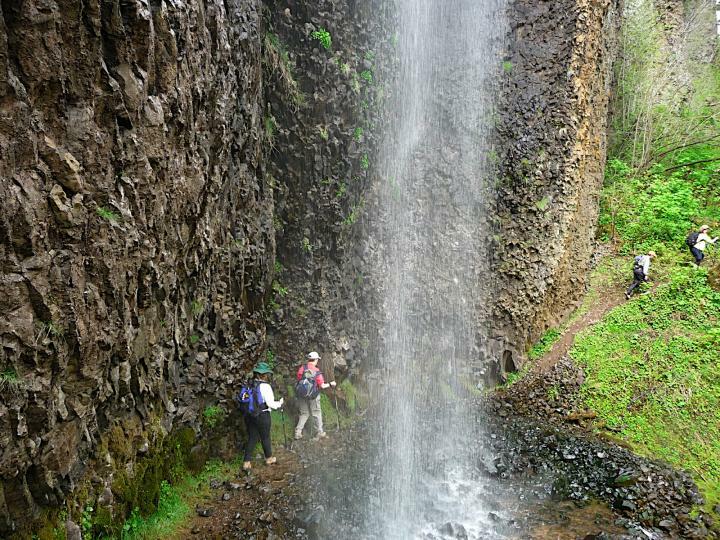 In the spring, a few seasonal streams can be seen streaming down these cliffs - the largest of which is known as Cape Horn Falls, dropping about 600 feetl. The falls consist of three main sections. The first is a series of small horsetails sliding down a narrow grassy knick in the cliff band. The creek then cascades for a short distance before plunging over a sheer cliff. 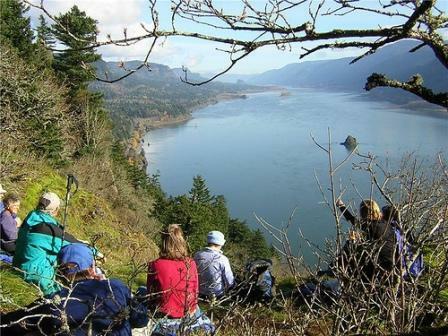 The creek then cascades further down about 200 before plunging 250 feet into the Columbia River. The falls flow during the winter and usually run dry by mid May. 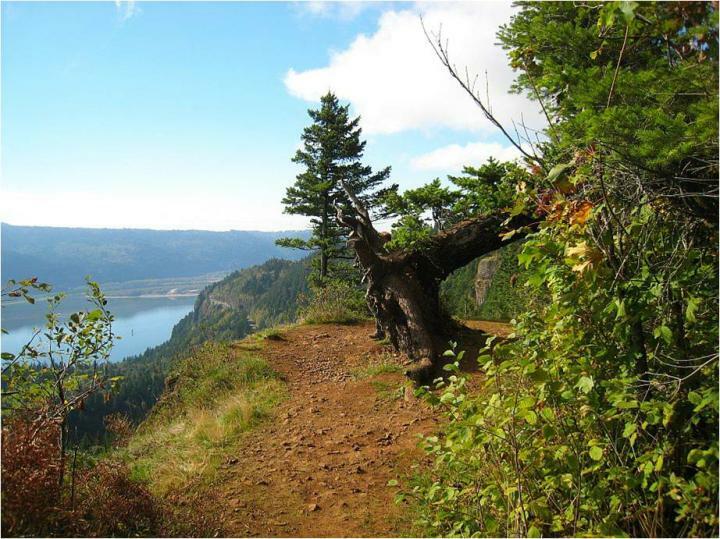 Take in a long Recess with amazing views of the Colombia Gorge on this 7 mile loop, east of Washougal.